Big enough for top notch speed and reliability. Small enough to give truly personal service. We use only top quality servers, switches, and routers. This translates into great reliability and uptime. As a result, within our server farm and facilities that are managed by our Tech Team since 1999, we guarantee that our servers will be up and functioning 99.99% of the time per month. We use state-of-the-art enterprise severs for web hosting services. We do not compromise on tehnology. 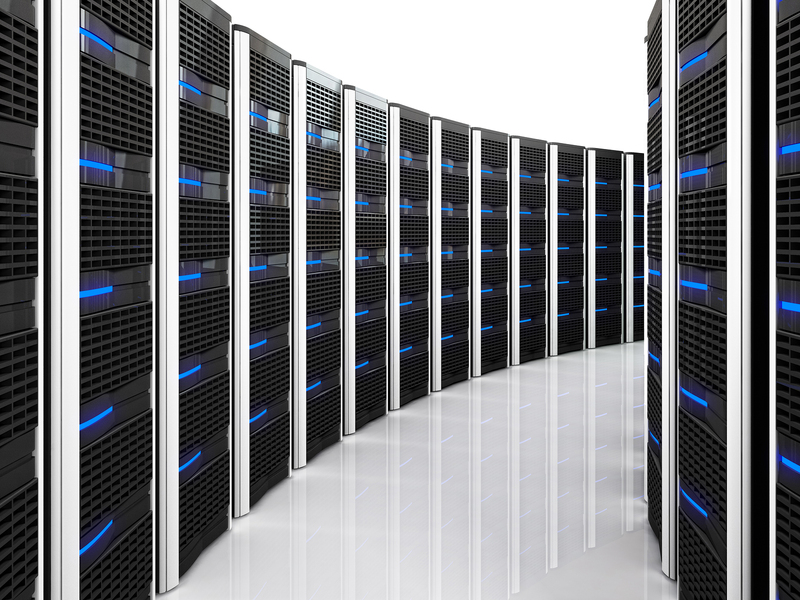 Our web hosting servers utilize RAID storge, Daily Backups, Gbps uplink, Intel Xeon Processors, and DDR3 ECC Registered RAM. Our network is Cisco powered. Our data center in Toronto is a true multi-homed connection to the Internet utilising Internet Access bandwidth from Level 3, Cogent, GT-T, nLayer, Rogers, Bell Hurricane Electric, Atria, GTIIX and TorlX. With core cisco infrastructure that implements both IPv4 and IPv5 protocols, our network topology ensure 100% uptime is achieved. Our Network Operations Team focus on ensuring that new capacity and peers are brought on to the network for Asia, Australia and Europe, by continually monitoring network traffic patterns for growth and capacity requirements. This blend of peers and carriers offers reliability flexibility and scalability. To guarantee uptime we are independent of the local power grid by utilizing Diesel powered generators. Our generators and uninterruptible power systems (UPS) provide redundancy in power subsystem to ensure uninterrupted operation to all services. The 2N infrastructure ensures that a true A and B feed are available at all times, and multiple redundancies within each level guarantee that there is no single point of failure within any of the A or B subsystems. As part of our green initiatives, we only utilize Bio-Diesel for generation fuel, and ensures that all lubricants and filters are disposed of with the best methods available to ensure that pollutants do not contaminate our environment. As one of the largest consumers of power on any power grid, data centres need to actively look at reducing power consumption and reducing their carbon footprint. We believe in utilising the latest technologies to maximise power conservation without hindering availability, redundancy and resiliency. With many technologies available, we turn to The Green Grid for proven and tested global technologies and methodologies enabling smart energy efficiency at our location. From simple power conservation solutions such as motion sensitive light switches and low voltage lighting, to complex Free Cooling solutions, we invest in research and deployment of Green technologies. With additional high efficiency technologies such as Cold Air Containment, our facilities are able to increase cooling availability and reduce computer room air conditioner (CRAC) unit output. With a 2N chiller subsystem, N+2 fluid cooler subsystems, N+1 glycol pumping systems, and 2N condenser loop, the Climate Control system is geared for 100% uptime. The temperature within the data centre is maintained by strict internal checks and controls to ensure that our infrastructure is functioning optimally. With the focus to continually decrease our carbon footprint, we also utilise a proprietary free air system that allows natural cold air from outside, to be conditioned and pressurised into the data centre environment. Passing thru a process that enables the air to be purified, and humidified, the advanced climate control system reduces the dependency on traditional CRAC units and balances out as needed with the Free Air system. When outdoor ambient temperatures rise, the Free Air System automatically scales back, and the CRAC units return to full operational levels. At all times, strict climate controls ensure that temperature, humidity and air quality remain constant to ensure 100% uptime. Physical entrance to the facility is restricted by a three tier physical challenge system. In order to ensure the upmost security, all maintenance personnel must be escorted. CCTV is deployed throughout the entire facility to keep a close eye on every inch of the facility. Enabled with instant offsite archiving, digital video is archived for 90 days at minimum. Our facility utilises state of the art fire detection and suppression systems including Honeywell’s Notifier platform. To catch any signs of a potential risk, the Very Early Smoke Detection Apparatus (VESDA) subsystem continually monitors all sensors with ultra-precise reliability. The FM-200 fire suppression system is the second line of defence upon detection of a threat. The non-toxic gas is released into the pressurized data centre facility, extinguishing the fire. Our facility utilises dry pre-action sprinkler systems to ensure remove s that there is no water within the sprinkler lines unless alarms have triggered, and enabled the notifier system to charge the lines with water. As a safety measure, the notifier system is fully monitored and upon a possible detection of fire, local fire departments and other emergency services are dispatched. Oceania Business Solutions Pty Ltd was incorporated in 1996 by Warne Boulton (1963-2012), as a portal for his software business. He based the name on his abiding love of the ocean and the Oceania region where he was born and where the majority of our clients are. Oceania has been providing web support and webhosting services for over fifteen years. Warne’s passion was 110% customer services and ongoing support for Surf Life Saving Australia. Our mascot is the dolphin – gracious and protective with a generous spirit – and guardian of the oceans. We endeavour to treat our clients in like style and we continue Warne’s legacy in every way we can. Former trading names appHosting; WebHostingSolutions; Hosti and Webomatics now operate under the banner Oceania Business Solutions Pty Ltd.
"I have been with Oceania since 2003 with two websites and have always found the service impeccable. They have answered all my queries in a friendly manner and promptly. The service has always been up and I have had absolutely no problems with them. I do not hesitate in recommending them to anyone who asks me about webhosting." "We have firsthand knowledge of your reliability, professional service and advice which has directly helped our company over the years to grow to a large online merchant website." "It is this fast, friendly and capable service I so appreciate. I feel lucky to have found Oceania Business Solutions- the best service and support in the industry." "Oceania Business Solutions came highly recommended and have not disappointed. I have found the extensive features from web building to reporting tools extremely useful and have impressed web-designers that I have engaged to assist me in the development and maintenance of my site. The stability and reliability that I have experienced provides me with the confidence in knowing that when potential customers choose to access my site, it will be available. The staff at Oceania are cheerful, very helpful and are a pleasure to deal with." "The North Haven Surf Lifesaving Club is proud to be supported by Oceania Business Solutions. Our website is critical to keeping both members and supporters up to date with everything we do and without such a reliable company hosting this essential tool, we would be at a severe disadvantage." "I’ve been Using Oceania to host a number of my client’s web sites for over 5 years and have found them to be extremely reliable and helpful. Oceania helps keep my client’s hosting costs to minium while providing a premium business hosting solution." 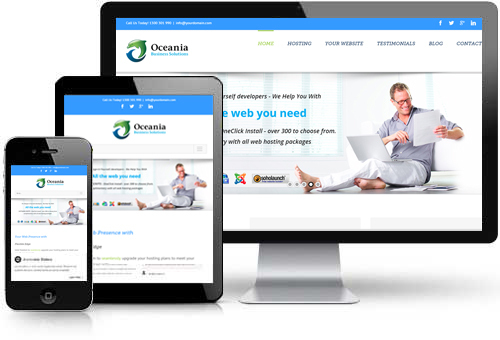 "I have had the pleasure of using the services of Oceania web hosting for almost 10 years now. In that time I have been both professional and friendly. I find their service to be second to none. They are always there to help even for what may be the most trivial of problems. Their help is cheery and thorough. All that coupled with one of the most competitive rates in the industry. What more could anyone ask for?" "KK Couriers and Technical Services have been relying on Oceania for over 15 years and have formed a long term business relationship. The quality of the service and support has been exemplary and our business would not be where it is today without the assistance and skills of Warne and his team. I would thoroughly recommend Oceania to any business looking for hosting, support and a personal touch to there web requirements." "I have been using Oceania to host my website since 2004. In that time I have not needed to contact them. That is because they have been extraordinary in their reliability for providing a 24/7 trouble free hosting service. That’s what I want from a web hosting service. Thanks Warne and the team @ Oceania"